Lviv Dormition Brotherhood School (Lvivska bratska shkola). An institution of secondary education established by the Lviv Dormition Brotherhood in 1586. It was the first brotherhood school in Ukraine. Its organizers were Orthodox burghers and noblemen who integrated across estate lines in the defense of their ancestral religion and traditions. One of their main goals was to raise the spiritual and intellectual level of the Orthodox church with the help of a network of urban schools open to children of all estates. Among the better-known activists associated with the early history of the Lviv School were Yurii Rohatynets, L. Maletsky, I. Krasovsky, and S. Morokhovsky. Their fund-raising efforts were supported by the city's Orthodox bishop, Hedeon Balaban. The Lviv School opened at a time when there were only a few Orthodox ecclesiastical schools, none of which offered secondary education. 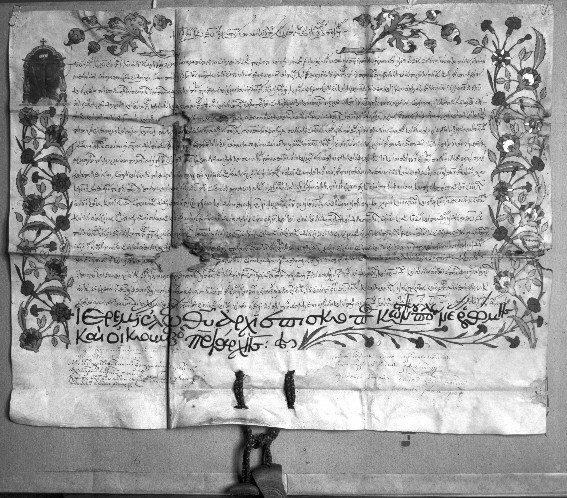 An important stimulus to its creation was a discriminatory ruling of Lviv's municipal government, controlled by Catholic patricians, which had prevented Orthodox children from enrolling in the Catholic cathedral school since 1570. Following the humanistic patterns of the Western European classical grammar school, the liberal arts curriculum of the Lviv School was divided into separate subjects, and from the outset stressed philological training. In its program, grammar was regarded as the key introductory discipline, from which students would progress through poetics and rhetoric to philosophy and theology. But rather than emphasizing Latin over Greek, as was being done in Protestant and Catholic schools, the Lviv School concentrated on Church Slavonic and Greek, the sacred languages of the Orthodox Slavs, and placed Latin last in the hierarchy. Because of this divergence Lviv teachers and other Ukrainian pedagogues set out to publish their own Greek and Church Slavonic grammars and Slavonic-Ruthenian dictionaries. 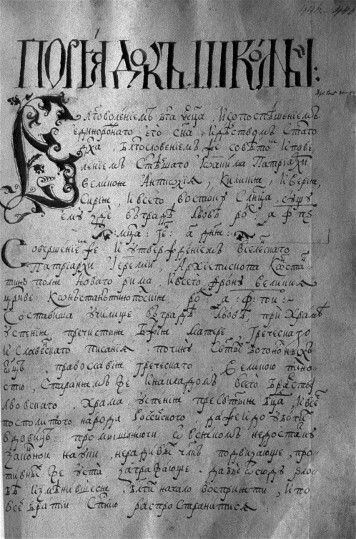 The first comparative Greek-Slavonic grammar, the Adelphotes (1591), was prepared at the Lviv School and published by the Lviv Dormition Brotherhood. One of the school's first teachers was Lavrentii Zyzanii who compiled a Slavonic grammar and a dictionary in 1596. The pedagogical activity of the Lviv School initiated linguistic scholarship (see Linguistics) among Ukrainians and subsequently among the East Slavs. Descriptions of the library of the Lviv School attest to the fact that for other curricular needs brotherhood teachers relied on Polish and Western European publications of Greek and Roman authors (Aesop, Aristotle, Demosthenes, Euripides, Isocrates, Pindar, Horace, Virgil, Ovid, Cicero) and of contemporary Greek and Latin grammarians (G. Cnapius, N. Kleinarts, C. Valer, E. Álvarez). A considerable body of poetry and the first Ukrainian religious drama are direct products of this school's linguistic-literary activity. Among the school's holdings were also contemporary European works on music theory. The library houses a collection of manuscripts of polyphonic choral music by various composers which, according to a 1697 list, make up 87 volumes. Between 1589 and the mid-17th century the Lviv School's curriculum and educational philosophy were instrumental and influential in the establishment of many brotherhood schools in Ukraine and Belarus. A number of Lviv teachers and administrators (among them, the Latin and Greek instructor Yov Boretsky and the famous lexicographer Pamva Berynda) subsequently moved to Kyiv and laid the foundations of the Kyiv Epiphany Brotherhood School. Throughout the 17th and 18th centuries instructors and alumni of the Kyivan Mohyla Academy and the Lviv School maintained close professional contacts.